Dianne has worked within the beauty industry for over 25 years allowing her to gain extensive professional experience and knowledge. In that period she has worked as a therapist in a variety of beauty salons and obtained numerous qualifications in many aspects of beauty therapy. This has allowed her to acquire and retain a large and loyal customer base. 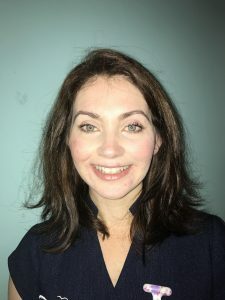 In addition to this experience, Dianne recently gained a first class honours degree in Business Studies from the University of Ulster for which she studied part-time. Dianne uses her academic background, her passion for her career and her commitment to clients to sustain a successful business. Debra has had extensive experience within the beauty industry. She qualified as a beauty therapist 22 years ago and since then has kept abreast of new trends within the market and has undertaken extensive training, adding constantly to her skills base. Debra also gained qualifications in holistic therapies including reflexology and Indian head massage. In 1998 Debra was awarded the D. H. Logan Cup Award by the Northern Regional College for Beauty Therapist of the Year. Debra’s skill, enthusiasm and passion for her career has allowed her to retain a large customer base and she is committed to ensuring high levels of client satisfaction and a successful business. 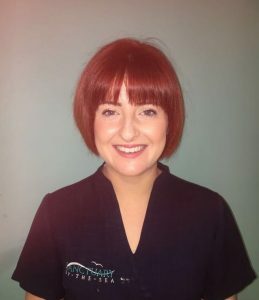 Gillian is a talented beauty therapist who excelled during her training in Bronwyn Conroy Beauty School in 2012 by achieving Student of the Year Award. Since qualifying she worked in prestigious day spa on Lisburn Road in Belfast where she carried out a wide range of high end treatments and spa packages. She has added to her skills portfolio through ongoing training and has experience of working with numerous skincare brands. Gillian has a clear focus on customer care, tailoring treatments to give customers a unique experience and excellent results. Her confidence and warm personality allow you to relax and escape from the demands of a busy lifestyle. Carly is our most recent member of the Sanctuary-by-the-sea team. Starting in April 2016 she quickly settled into her role as receptionist and gelled immediately with clients and staff. Carly is a trained hairdresser and has experience of working in the hair and beauty industry which adds to her strengths as a receptionist. She also runs a part time embroidery and printing company, where providing excellent customer service is paramount. 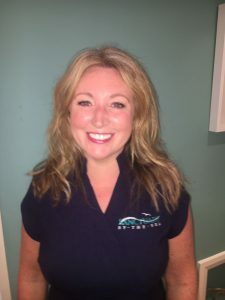 Carly is professional, friendly and welcoming, and always on hand to assist with bookings and queries as well as helping people relax into their Sanctuary-by-the-sea experience. Lois is a highly trained beauty therapist who has over ten years experience in the industry. During her study towards NVQ Level 3 in Beauty Therapy, Lois gained an award for Dermalogica Student of the Year. Since acquiring this qualification she has added to her skill set through courses such as Advanced Waxing and Reflexology. 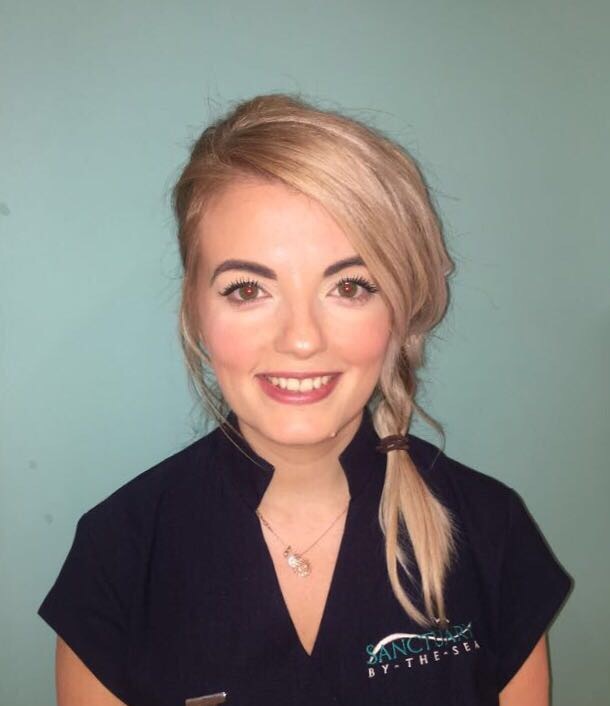 Lois has worked in a range of beauty environments such as an Aesthetic Clinic and a Day Spa within a health club. Her outgoing personality put clients instantly at ease, and her passion for her career enables her to deliver an excellent service with a keen attention to detail. She fits perfectly within the Sanctuary-by-the-sea team, and is waiting to welcome you. Rebecca qualified as a therapist in 2009 when she completed a CIBTAC beauty therapy qualification at Bromwyn Conroy Beauty School. 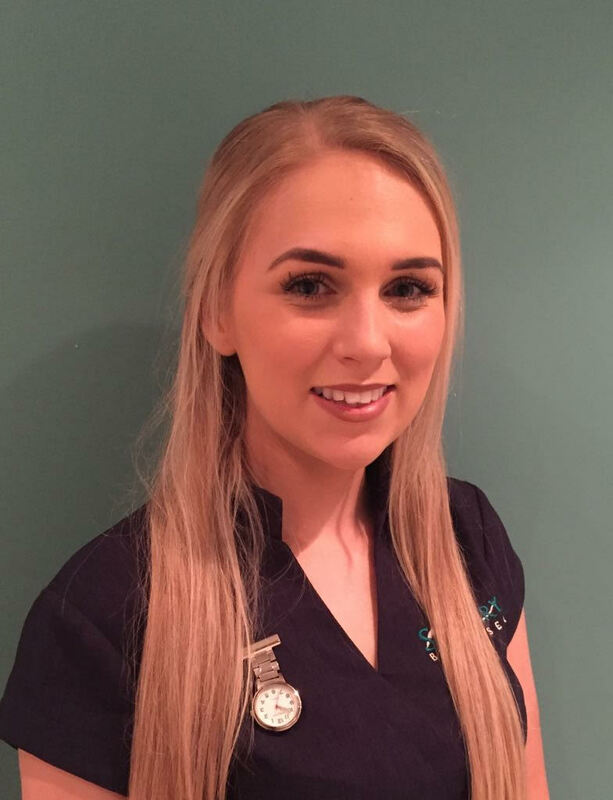 Since qualifying, she has gained a wide range of experience from different beauty environments including Galgorm Resort and Spa, Aura Day Spa and a variety of other beauty salons in County Antrim. 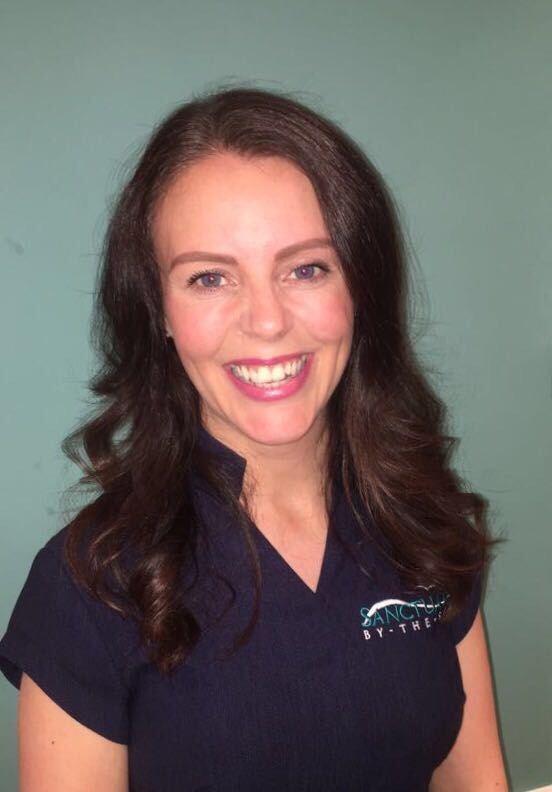 Rebecca is a confident and talented therapist who is passionate about her career. She loves her role as a therapist and enjoys providing a high standard of professional and therapeutic treatments. 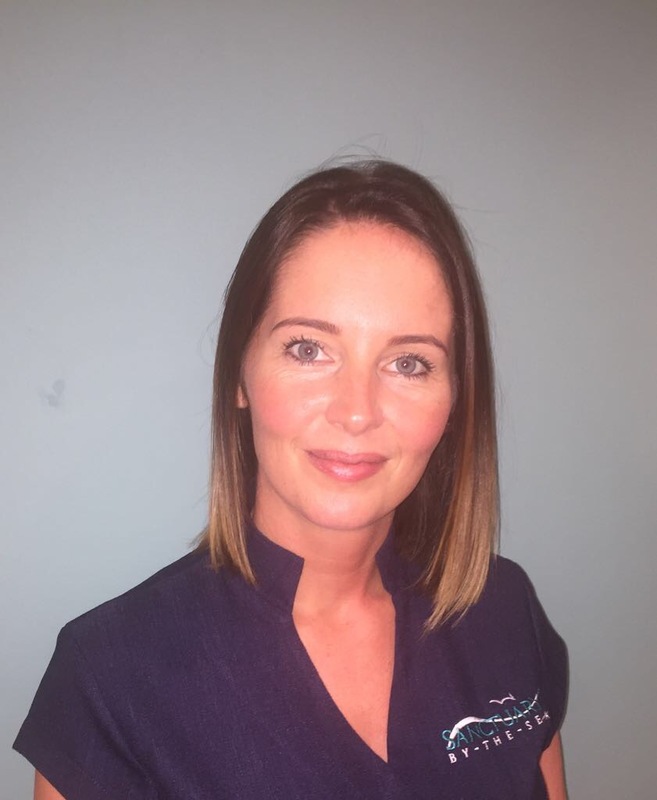 Lynette has been a beauty therapist for over 11 years with both NVQ Level 2 and 3 qualifications in Beauty Therapy. In her time as a therapist Lynette has worked in salons within the Newtownabbey area. 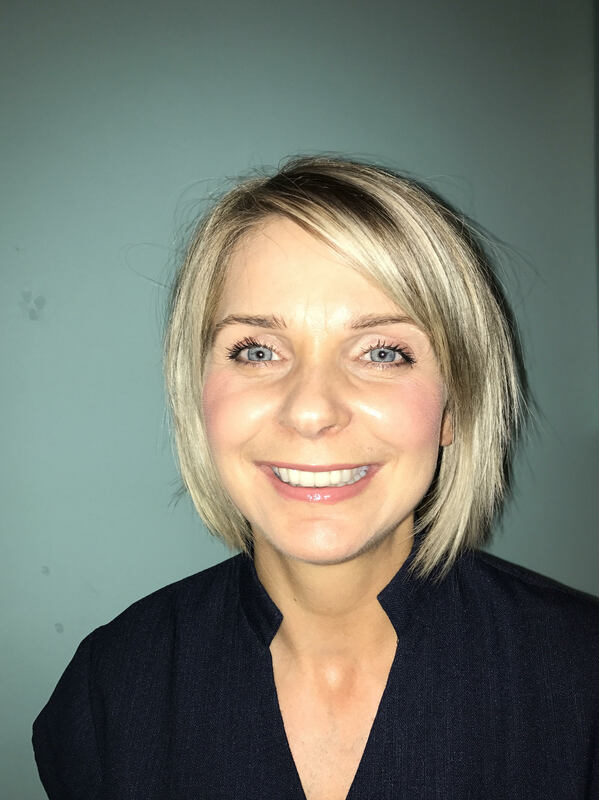 Dedicated to her career she has broadened her skills base by gaining qualifications in specialised treatments such as HD brows and Laser hair removal. Lynette is a professional therapist with an outgoing personality who gels with customers and staff alike. As her many long-standing customers would agree, Lynette brings talent and experience to the Sanctuary-by-the-sea team. Debbie is the longest standing member of staff who has worked as a receptionist at Sanctuary-by-the-sea since February 2012. Prior to this role she gained experience working with customers in a wide range of posts, such as receptionist in an engineering company and an accounts clerk in an insurance company. Debbie also has a CIDESCO and ITEC qualification in beauty therapy. Since working for the company, she has embarked on in depth training to allow her to fulfil her ultimate goal of delivering massage and beauty treatments. In both her role as therapist and receptionist Debbie brings professionalism, knowledge and expertise to the team. Lorna has been working as a receptionist since April 2014. She has had a wide range of experience in customer-facing roles such as customer service crew in P&O and receptionist/ duty manager in DW Sport Fitness. Lorna also acquired a BA Honours Degree in Art and Design in 2008. Lorna loves working in the beauty industry and after witnessing the customer satisfaction of clients of Sanctuary-by-the-sea, she decided to embark on a beauty career of her own. 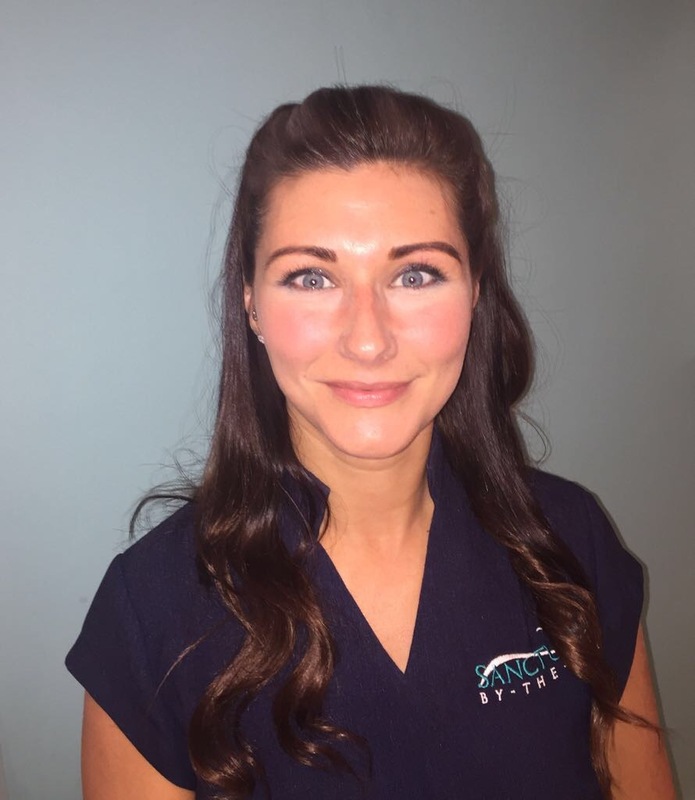 She has gained beauty qualifications and experience and is now performing the high standard of treatments that you come to expect at such a well-established and popular salon.